Dive into Deep Blue Sea 2! Dive in to Deep Blue Sea 2 and discover the secrets of Avalonia, an underwater world that needs your help to be fully restored. Along your way, you'll meet a collection of colorful characters and assemble a crew to help you in your fast-paced and fun Match 3 quest. Collect powerful upgrades and awesome powerups as you make your way through an engaging storyline in Deep Blue Sea 2: The Amulet of Light. This is a fun game. It is a hidden object and a match 3 game all in one. You start out playing a match 3 then you play a hidden object then you play match 3 again. It is very relaxing. If you are looking for fun and relaxing game this is a very good one. I would recommend this game. I have to admit, my decision to write this review was primarily based on my surprise at the other, less complimentary, reviews that the game has received. In addition to the timed setting, the game has a relaxed setting which is a nice feature, and not always found in M3 games. The storyline is okay - but can be bypassed if you don't feel like reading it. It is primarily a M3 with the occasional HO scene (and that can be skipped if you don't like playing HO#. I found the M3 icons on the grid to be quite cute, and I enjoyed the animation when you hovered over them #like they were happy that you picked them#. The graphics on the HO scenes were also appealing. I liked that between each level you have the ability to chose your diver #and each diver has different features#, and you can customize their toolbelts to help you progress through the levels. I was also pleasantly surprised at the level of challenge. The board itself can be rotated, and then you have to drop artifacts through the playing field to the active/available exits #if the exit is not lit up, you can't drop the artifact out there#. The other thing I liked was that on some levels, you have to plan ahead and move the artifact out of the column it starts in #otherwise it will be blocked). All in all, it is not my "most favorite" M3 game of all time, but I think it is certainly worth demo-ing if you like M3 games. In my opinion, it is a good solid little game for a way to pass the time on a rainy day, and I would definately buy as a Daily Deal. I would give this 3.5 stars.... Enjoyable game and well worth the DD price. I almost didn't even try this game after reading the reviews.... just goes to show that you should at least give them a go and see for yourself.... :) My main gripes about the game are that I couldn't get my power-ups to stick to my tool belt when trying to "equip" -- no matter what I tried -- and the graphics, in full screen, are a bit blurry. Other than that, as Match 3 games go, this one is a tad above average and I found it enjoyable... Since I got it as a DD, it was worth the price for me.... Had it been full price, I probably would not have purchased it. So give it a try yourself and you might find it worth it for you as well. Had i tried this game before i purchased the Original Deep Blue I would never have learned how enjoyable a Match three could be! Diddn't like the graphics, nor the HOS what you needed to find were so tiny or nearly invisible that I couldn't see them. The beginning of the story is OK but I just couldn't stand the rest of the game--very juvinile and not challenging! The game begins in a small window. This makes it almost impossible to play because of the resolution. You will need to change the screen to full screen in the settings area or you will never even be able to see some of the hidden objects. 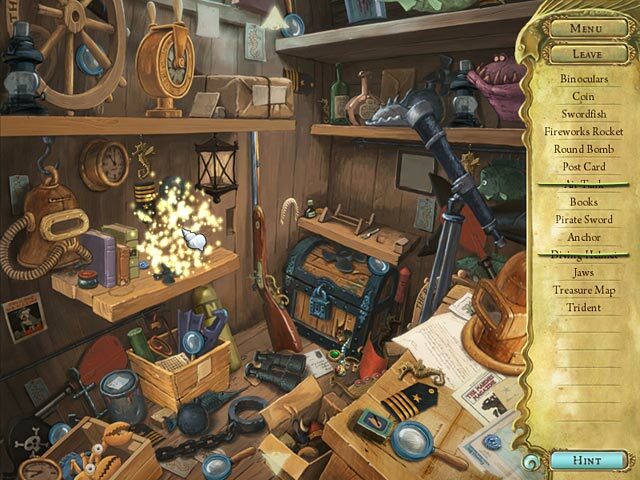 The trial for the game has three parts, the story line, the hidden objects areas, and the match 3 areas. I found the hidden objects area quite nice actually. The design uses extended screen which makes the game more challenging than the typical HOS. The match three however has terrible graphics and becomes rather irritating to the eyes after a while. I purchased Deep Blue Sea (the original) immediately after playing the trial, it's a great game! Deep Blue Sea 2 ~ I did not purchase and did not even finish the trial time. I RARELY dislike a game so much that I express an opinion that a game is a COMPLETE waste of money and time but this game was a waste of my money and I have to say that I am sorry that I purchased it -- even as a DD. ALL power-ups are expensive and can only be used 1x and then you've got to earn more money to buy them again. The board ROTATION is 1 rotation (NOT as many times as needed) and THEN arrows disappear and you've got to wait for them to show up again. Even when you use a power-up that's supposed to DOUBLE your ability (like air in the oxygen tank) you might've just kept your money as the air runs out ALMOST immediately AFTER you've used the power-up. The original Deep Blue Sea game I played and completed in the timed mode and it was enjoyable; this sequel is nothing but a CHORE and very nerve-wracking and frustrating -- so much so that I didn't even want to play this game in the relaxed mode. Very disappointing. Loved the original version - this one has Jessica's sister Melissa trying to find her. 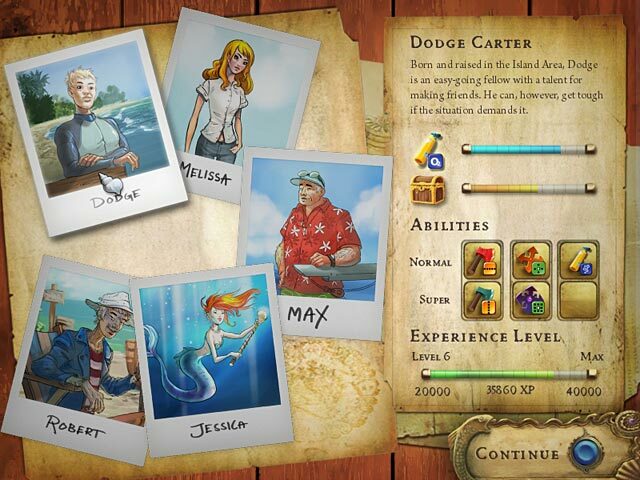 Additons are HOS (not very challenging), new characters as divers and a journal with the storyline. You can pick your diver - they have different abilities and build up experience levels. It takes a while for the shop to be introduced to buy a bigger treasure chest etc. 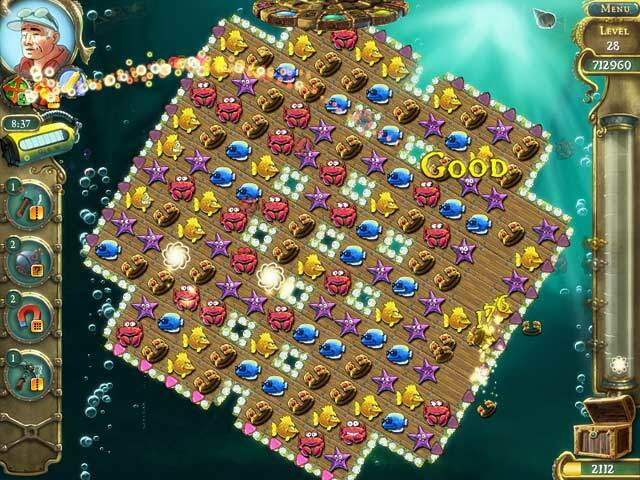 Graphics more cartoon like and the match 3 board is smaller and the sea creatures are more cartoon-like. They have added a powerup board rotation which is useful and as well as chains to break you have frozen blocks (buy the blow torch to melt them). Overall not as impressive as the first, I only played the trial. Will not buy this one. I only recommend this for an hour of fun. Still Loving It After All These Years! I'm still playing this game because the storyline is excellent, the music terrific (there are several songs but the composer has changed the tempo in them so one time it sounds jazzy, one time almost-classical, etc. ), it's challenging yet relaxing, and works perfectly on W7. Better than the first one!